With more than 17 years as a chiropractor Dr Tymms has extensive experience treating a range of conditions. 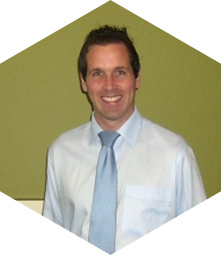 Dr Tymms is nationally registered with the Chiropractic Board of Australia and is a member of Chiropractic Australia. A back injury as a child led Dr Tymms to his chosen profession. The treatment he received at the time made him want to help others. Dr Tymms is particularly interested in treating back pain and headaches. Dr Tymms is married with four children and has lived and grown up in Melbourne. Having graduated from RMIT, Dr Sadigi-Giyasi has been a part of Forest Road Chiropractic since 2007 and is nationally registered with the Chiropractic Board of Australia. Dr Sadigi-Giyasi is extremely passionate about chiropractic and takes great pride in providing gentle, effective care for the whole family. 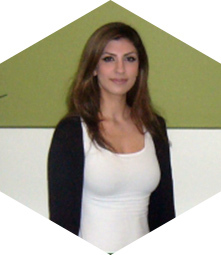 She is particularly interested in maternal health, treating patients with headaches/migraines, as well as managing musculoskeletal conditions. When she is not working to help her patients with their spinal health, Camellia loves to spend all her spare time with her husband and their young son and daughter. 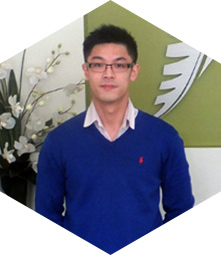 Dr Sun graduated from RMIT with a Bachelor of Applied Science (Complementary Medicine) and Masters in Clinical Chiropractic. He also has a qualification in Acupuncture and during his years of training attained a Level 2 Certificate in Dry Needling. Dr Sun has been supporting many sporting teams as a team chiropractor. Ranging from high school level to higher provisional league teams such as Boroondara Eagles Soccer Club and Sporting Whittlesea Soccer Club, he is proficient in sports and acute injuries. Dr Sun is particularly interested in muscle and joint conditions. He believes in a musculoskeletal approach, utilising different modalities to provide a high quality of care and improve the healing ability of the body.